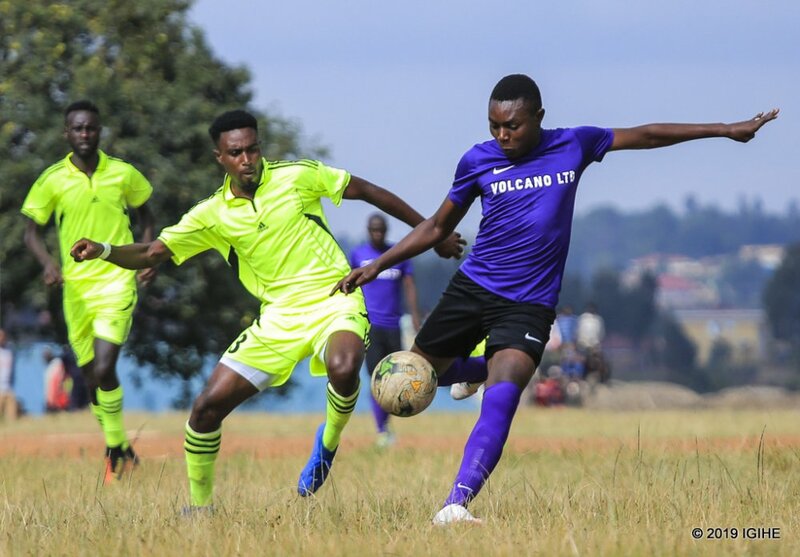 Mukura VS failed to claim the top spot after drawing 1-1 in a previously rescheduled match against hosts Gicumbi FC on Thursday, with the Huye-based side only moving to within one point of leaders and defending champions APR. The black-and-yellow outfit went into the game aware that they needed all three points to leapfrog APR FC into the top spot. Striker Frank Lomami broke the deadlock in the 71th minute to hand Francis Christian Haringingo’s side advantage heading into the final stages of the match, but the visitors were stunned when Aboubakar Nshimiyimana struck to level matters in the 90th minute. The equaliser followed a spell of sustained pressure from Camalade Banamwana’s team who are fighting for their lives in the relegation zone. The draw means Gicumbi are now 13th on the league standings with 13 points – out of a possible 45. APR FC remain at the summit with 35 points, one ahead of second-placed Mukura VS, with Rayon Sports in third place with 31 points. SC Kiyovu (26 points) completes the top four. League action returns on February 18 with Amagaju Fc hosting APR FC at Nyagisenyi grounds, Gicumbi FC will be away to Espoir FC in Rusizi while Musanze Fc will be hosting AS Kigali at Stade Ubworoherane. On February 19, Sunrise FC will host Mukura VS in Nyagatare, Police Fc host AS Muhanga at Kicukiro, Rayon Sports FC host Etincelles FC at Stade de Kigali while Marines Fc will be away to Bugesera FC in Nyamata. On February 20, SC Kiyovu will host Kirehe Fc at Mumena stadium in the lone game of the day.